Do we have a good one for you today – the Moto Z2 Force takes on the new Huawei Mate 10 Pro in a comparison battle for specifications, availability, and pricing. The Z2 Force is the second design of the original Moto Z Force, but it has not really changed in looks, as it still needs to use the Moto Mods. Inside is a different story as the processor/GPU combo is Snapdragon’s latest and Moto moved into dual cameras. The Mate 10 Pro is the flagship of the Huawei’s lineup. It has a larger display, an equivalent processor/GPU, dual cameras, and a much larger battery – but a larger price tag. Does the Mate 10 Pro have what it takes to outclass the Moto Z2 Force? These questions and more are what we hope to answer here. Before we look at each individual device, let’s take a look at what they have in common. The Moto Z2 Force and the Huawei Mate 10 Pro do have a few things in common. Starting with the display we find that both use the OLED technology and both have a covering to protect their displays – ShatterShield (5-layers of plastic) on the Z2 Force and Gorilla Glass 5 on the Mate 10 Pro. Both use a different brand processor/GPU, but they are equivalent in specs. Both use a dual camera setup with a 12-megapixel sensor for its primary camera. They are both equipped with a non-removable battery, although the Mate 10 Pro’s is much larger, both offer a rapid charge capability. Even though the Mate 10 Pro has a larger display, because of its 18:9 ratio, both devices are almost identical in size – the Mate 10 Pro weighs 35 grams more than the Z2 Force. Both sport Bluetooth v4.2, WiFi, a USB Type-C port for charging, data transfer, and headphone usage. Both have some form of water resistance and both have a fingerprint sensor. 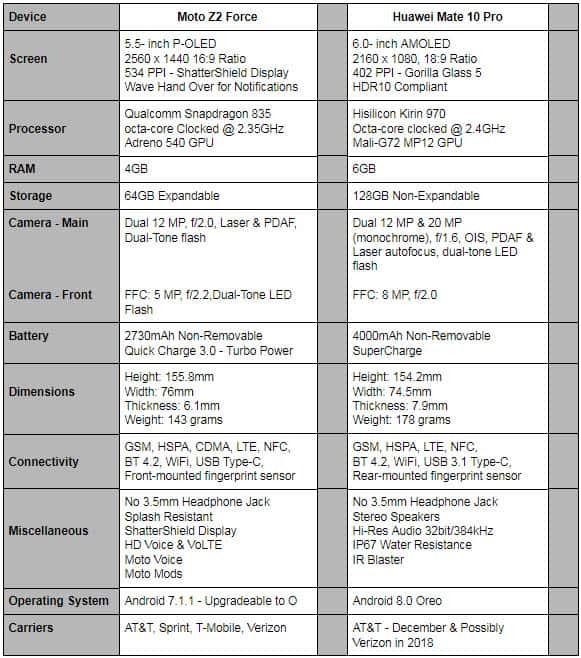 Please take a careful look at the detailed specifications comparison chart below and here you will see just how these two great devices stack up against one another. After that, we will look at each device individually in greater depth and point out some of its pros and cons. From all of this information, we will try to determine the winner based on specs and execution of design and functions. The Moto Z2 Force is Motorola’s take on a flagship device – it comes in a little pricey, but it has the features to back up the price. It has a 5.5-inch P-OLED QHD display (16:9), uses Moto’s ShatterShield technology, it has the powerful processor and GPU that most US smartphones have, has a new dual camera, terrific reception, and its ability to use Moto Mods. 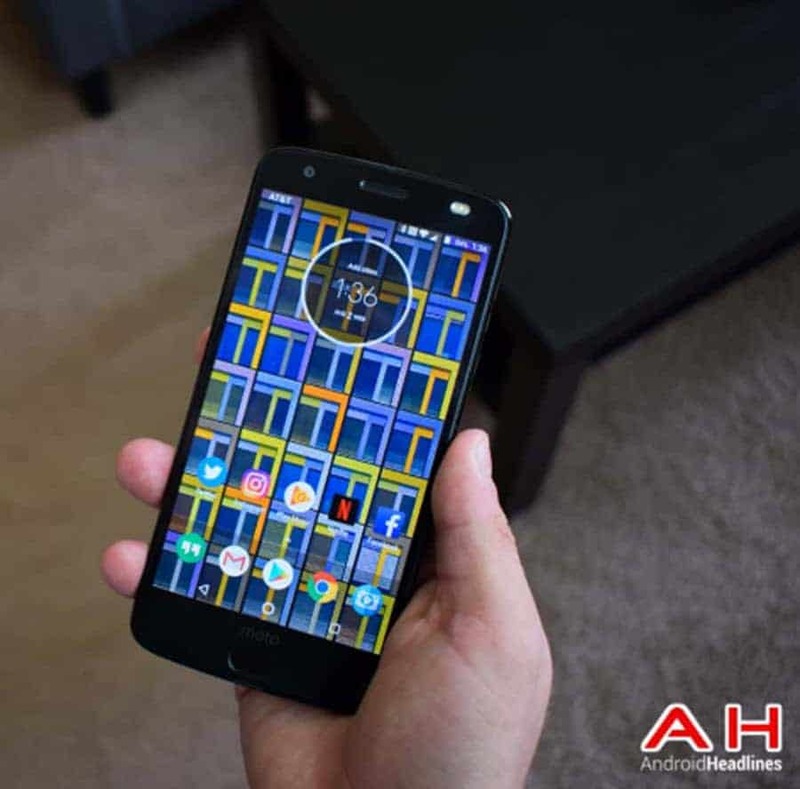 The design is a little dated-looking with its larger front bezels, but Moto promised three years of models could use those expensive Moto Mods – we are in year two. The Z2 Force has an all metal design and large round camera hump on the back that doubles as a stabilizer for the Moto Mods. Many believe that the device actually looks better when the Z2 Force has a Moto Mod attached. The Moto Z2 Force kept its 5.5-inch P-OLED display and its standard 16:9 ratio, even though many new flagships have jumped to the 18:9 ratio. It has a QHD resolution of 2560 x 1440 pixels with a density of 535 pixels-per-inch (PPI). The Z2 Force has a great notification system onboard that allows you to wave your hand over the display to see the notifications. The Z2 Force uses Moto’s proprietary five-layer ShatterShield to keep the display from shattering when dropped. It works extremely well as far as protecting the display from shattering, but you need to use a screen protector to avoid scratching the plastic display. Moto went with the best processor it had available – the Snapdragon 835 octa-core with a quad-core clocked at 1.9GHz and another quad-core clocked at 2.35GHz with an Adreno 540 GPU on board to provide terrific graphics. This is different from the Mate 10 Pro setup, but both are up for the task of running these flagship devices. The Moto Z2 Force packs 4GB of DDR4 RAM with a base of 64GB of internal memory that is expandable via a microSD card. A 2,730mAh non-removable battery powers the Moto Z2 Force and comes with Moto’s Turbo Power charger. You can purchase a Moto Mod battery to give you an extra 2,200mAh and not only do you get more power, but also get to enjoy wireless charging. Motorola did make a significant change and added dual-cameras this year. It uses a dual 12-megapixel setup – the primary camera has an aperture of f/2.0, both laser and PDAF focusing, and a dual-toned LED flash. Moto even made the secondary camera more exciting by making it a monochrome sensor, allowing the user to capture some great black and white photos. 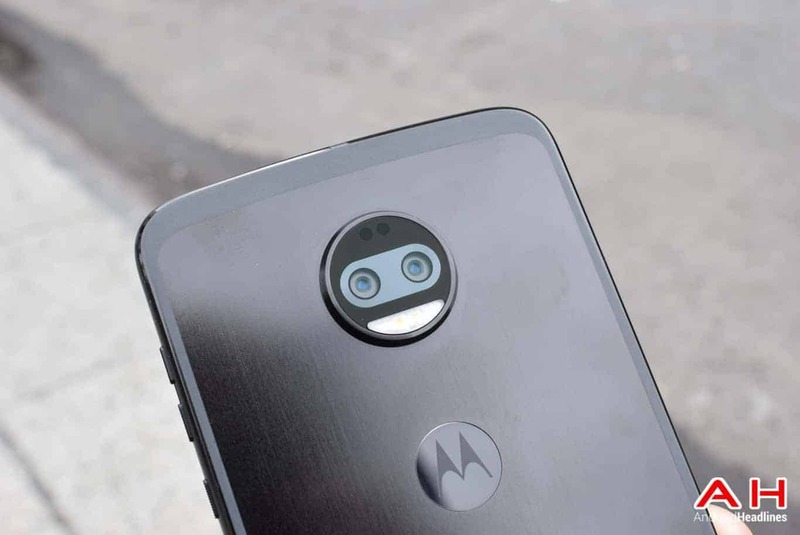 Moto kept the 5-megapixel front-facing camera (FFC) camera that uses a smaller aperture of f/2.2 and a dual-tone LED flash for selfies and video chatting. The Moto Z2 Force did a good job in our through review – just remember to use a screen protector to avoid any scratches on the display. Both of these devices lack a 3.5mm headphone jack, even though the devices are thick enough for one. Moto does supply a dongle that plugs into the Type-C port and converts it to a traditional 3.5mm headphone port if you’re not interested in a good set of Bluetooth headphones. The standout feature of the Z2 Force is its ability to use Moto Mods – they can be as simple as an add-on battery – that also gives you wireless charging – or as advanced as a high-powered Hasselblad camera or a 70-inch projection module. Moto provides great radios in their smartphones, so if you live in an area where the signal is weak, you may want to try the Z2 Force. The phone measures in at 155.8 x 76 x 6.1mm and weighs in at 143 grams. It comes in three colors – Super Black, Fine Gold, and Lunar Grey with pricing ranging from $756 to $800 depending on where you purchase the device. READ Announced the Xiaomi Redmi Note 5A — state employees, with a focus on selfies! 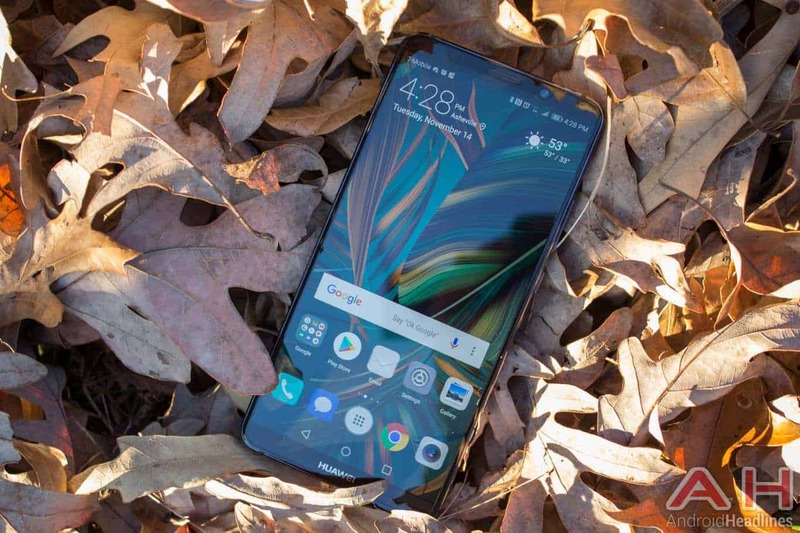 The new Huawei Mate 10 Pro evidence of Huawei’s design philosophy and is easily one of the best-looking smartphones on the market today. It is right up there with the Samsung Galaxy S8/Note 8 design. Huawei is not known in the US for its smartphones, but in worldwide sales, Huawei surpassed Apple in September to rank second to only Samsung. It looks like AT&T will sell the new Mate 10 Pro sometime in December, and rumors are running around about Verizon jumping onboard in 2018, so hopefully Huawei will grab a foothold in the world’s largest flagship market. Other than its 1080p display, lack of memory expansion, and no 3.5mm headphone jack, the Mate 10 Pro has a high-end Kirin 970 processor and Mali-G72 MP12 GPU that can easily take on the Snapdragon 835/Adreno 540 combo found in the Z2 Force. Its Leica-made dual-camera setup ranks only second to the Google Pixel 2 models and its huge 4,000mAh battery will easily last you through the day and then some. Let’s see just how the powerhouse that is the Mate 10 Pro holds up to the Z2 Force. Huawei went with a 6-inch AMOLED display that uses a FHD+ resolution of 2160 x 1080 pixels with a density of 402 PPI. Most companies choose the 1080p resolution to saved battery life, but I think the large 4,000mAh battery size could easily handle a QHD display. There is no secondary display on the Mate 10 Pro for notifications, but they did opt for the new 18:9 aspect ratio. Corning’s Gorilla Glass 5, the usual choice for premium smartphones, provides protection. Huawei uses their Kirin 970 octa-core processor with one quad-core clocked at 1.8GHz and a second quad-core clocked up to 2.4GHz. The Mali-G72 GPU offers outstanding graphics and certainly on par with the Adreno 540. The Mate 10 Pro packs 6GB of DDR4 RAM (2GB more than the Z2 Force), which allows smoother operations and multitasking. It comes with 128GB of internal memory but has no means to expand it – you must look to the cloud for extra storage. Huawei teamed up with Leica to give the Mate 10 Pro a dual camera arrangement that uses a 12-megapixel main sensor along with a 20-megapixel monochrome secondary sensor – an unusual move having the secondary camera be larger. Each has a large aperture of f/1.6, OIS, 2X optical zoom, PDAF and laser autofocus, and a dual-tone LED flash. People seriously into photography are also into a true black and white photo, and you can get some fantastic B&W shots with the Mate 10 Pro. Its FFC uses an 8-megapixel sensor with an aperture of f/2.0 for selfies and video chatting. A 4,000mAh non-removable battery with fast charging capabilities powers the device. The glass back eliminated the chance of a removable battery but opened the door for an IP67 dust and water resistance certification, although it would be nice to see wireless charging included in the deal. The Huawei Mate 10 Pro is an excellent smartphone, beautiful in every sense of the word, and has a high quality build – but we would expect nothing less from Huawei. It sports a 6-inch display, a powerful processor and GPU, has lots of RAM, and has a great sound package that comes with stereo speakers. Unfortunately, there is no 3.5mm headphone jack – a path that many manufacturers are following. Huawei does provide an adapter to go from the Type-C port to a 3.5mm plug; otherwise, you will need a good set of Bluetooth headphones. The Mate 10 Pro comes with support for the older Bluetooth v4.2 standard but Huawei throws in an IR blaster and NFC. The Mate 10 Pro has a very fast rear-mounted fingerprint sensor to unlock your device. The Mate 10 Pro measures 154.2 x 74.5 x 7.9mm and weighs in at 178 grams. The Mate 10 Pro comes in your choice of Midnight Blue, Titanium Gray, Mocha Brown, and Pink Gold and ships with Android 8.0 Oreo enhanced with Huawei’s EMUI 8.0. The Mate 10 Pro will cost you approximately $945 outright, although if purchased through AT&T (coming soon) you will be able to finance the device on a plan. Rumors are now out that there may be a Verizon model in 2018. This was really a tough decision – so tough I am going to call it a draw based on the users’ particular circumstances. Both devices pack a lot of power and performance and both have their pros and cons. If you are interested in one of these devices, then make a list and decide what you can live with or without on your smartphone, keeping in mind that the Mate 10 Pro is about $150 more than the Z2 Force. The Moto Z2 Force has the better display, although it is smaller by one-half of an inch and only uses the 16:9 ratio. It has less RAM, but has expandable storage. It has dual cameras, but they are not as highly rated as the Mate 10 Pro. It has a smaller megapixel FFC, but has a dual-tone flash. The size of these two devices is a wash, as is not having a 3.5mm headphone jack. The Z2 Force does support Moto Voice, Moto Mods, HD Voice, and VoLTE. It is only running Android 7.1.1, but is available on all networks. The Huawei Mate 10 Pro has a larger display with an 18:9 ratio, but its resolution is only FHD+. It packs 6GB of RAM – 2GB more than the Z2 Force – but has a fixed 128GB of internal storage. The camera area is rated only second to the Google Pixel 2 series, but its software needs a little work. The Mate 10 Pro has a much larger battery, a IP67 water and dust resistant rating, stereo speakers, High-Res audio, an IR Blaster, and is running Android 8.0 out of the box. In the US, it should work on AT&T and T-Mobile, but may also come to Verizon next year. You are reading an article on the Phone Comparisons: Moto Z2 Force vs Huawei Mate 10 Pro. All materials on the site Gadgets F, а также и статья Phone Comparisons: Moto Z2 Force vs Huawei Mate 10 Pro - written for the purpose of information enrichment and we are happy if you like our magazine.